Mid-size crossovers have become increasingly popular in recent years, and for good reason. Providing a versatile cargo area along with increased fuel economy and smoother road manners than traditional SUVs, it is no wonder that mid-size crossovers have won over so many drivers. If you are looking to get into the crossover craze at a highly affordable price, be sure to test drive the 2016 Mitsubishi Outlander Sport. Mitsubishi's versatile mid-size crossover provides a stunning list of tech features, along with impressive fuel economy and versatility at a tough to beat price. Drivers near Fort Bragg, Hope Mills, Raleigh, Wilson, and Newton Grove, can visit Fayetteville Mitsubishi in Fayetteville, NC, to experience the stunning Mitsubishi Outlander Sport. But be warned, once you test drive this beautiful and powerful vehicle, you will want our dedicated sales staff to help you find an Outlander Sport that you can drive home! The Mitsubishi Outlander Sport mid-size crossover is available with multiple powertrain options, which each deliver a stunning mix of performance and fuel efficiency. The Outlander Sport base model comes standard with a 2.0-liter engine producing 148 hp and 145 lb.-ft. of torque, connected to a 5-speed manual gearbox, or optional continuously variable transmission (CVT). A highly capable and efficient 2.4-liter MIVEC engine powers the majority of Outlander Sport models. Developing 168 hp and 167 lb.-ft. of torque, the 2.4-liter equipped Outlander Sport offers plenty of power for this lightweight and fun to drive crossover. The CVT Sportronic transmission comes standard on all 2.4-liter models, with steering wheel mounted paddle shifter available for an extra sporty driving experience. Mitsubishi's latest crossover can be had with either standard front-wheel drive (FWD) or an advanced All-Wheel Control (AWC) system, which assists drivers in tackling the worst of weather and road conditions with ease. Additional traction and stability technologies come standard on every Outlander Sport model, including Active Stability Control (ASC), Traction Control Logic, and Hill Start Assist. Fuel economy is one of the 2016 Outlander Sport's many strengths. This sporty crossover can achieve up to an EPA-estimated 24 city and 31 highway mpg when equipped with the standard 2.0-liter engine. The popular 2.4-liter MIVEC engine also features stellar fuel efficiency, returning up to an EPA-estimated 23 city and 28 highway mpg rating. It is clear that no matter which 2016 Outlander Sport powertrain configuration you select, you will have supreme capability and efficiency on your side! It would be easy to mistake the 2016 Mitsubishi Outlander Sport crossover's cabin for that of a larger, full-size crossover, seeing how this sporty Mitsubishi provides a substantial 97.5 cubic feet of passenger space for up to five people. Its cargo capacity is equally impressive, with 21.7 cubic feet of usable space behind the rear seats. Once the back seats are folded down, cargo volume expands to an incredible 49.5 cubic feet. When admiring this crossover's svelte and sporty exterior lines, you would never guess that it packs this much usable space inside! Mitsubishi is known for providing high-tech features at an affordable price, and their latest Outlander Sport is no exception. Standard on every 2016 Outlander Sport is a color LCD multi-information display, FUSE Hands-free Link System with Bluetooth technology, steering wheel audio controls, and remote keyless entry. A 6.1-inch touchscreen audio display with Digital HD Radio and rearview camera are also available. Audiophiles will appreciate the optional 710-watt Rockford-Fosgate premium sound system, complete with nine speakers and a 10-inch dual-voice coil subwoofer. If you live near Fort Bragg, Hope Mills, Raleigh, Wilson, and Newton Grove, you can experience the 2016 Mitsubishi Outlander Sport's stunning interior at Fayetteville Mitsubishi in Fayetteville, NC. Mitsubishi vehicles have a long-running reputation as reliable and durable vehicles, so it should come as no surprise that Mitsubishi backs their vehicles with a superb warranty package. Every new Mitsubishi is supported by a 10-year/100,000-mile Powertrain Limited Warranty, a 5-year/60,000-mile New Vehicle Limited Warranty, and a comprehensive roadside assistance plan that provides help if you need it for a full five years. Add in the Anti-Corrosion Perforation Limited Warranty of 7 years/100,000 miles, and its competitors simply can't match Mitsubishi's warranty package. For additional information regarding Mitsubishi's warranty program, see the sales team at Fayetteville Mitsubishi in Fayetteville, NC. Once you test drive the stylish 2016 Mitsubishi Outlander Sport crossover, you will not want to go back to your current vehicle. 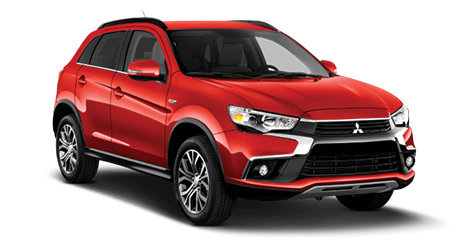 Stop by the Fayetteville Mitsubishi showroom, located at 2012 Skibo Rd, in Fayetteville, NC, or check out our current inventory of new Outlander Sport crossovers and other sporty Mitsubishi vehicles here on our website.